In humans, hemodynamic stability is essential to maintain homeostasis. In order to achieve this, atrial, ventricular, and vascular properties, their interactions are rigorously and, in a sense, elegantly controlled. Cardiovascular diseases are associated with impairments of one or more such properties and interactions, and they often lead to end-organ damage, including damage to the liver, kidney, and gastrointestinal system. Impairments of such organs can, in turn, influence the cardiovascular system and overall hemodynamics. Therefore, to better understand the underlying pathophysiology of several diseases and conditions of hemodynamic instability, each of the cardiovascular properties together with the organ functions other than those of the cardiovascular system should be precisely assessed. For this purpose, many researchers all over the world have put in efforts to develop the theory and applications of monitoring tools for hemodynamics. 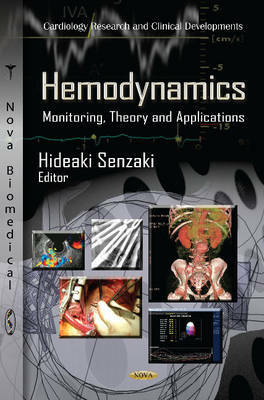 This book contains essential information regarding hemodynamic monitoring, encompassing issues from foetuses to adults, including experimental and clinical findings and data on invasive and non-invasive methodologies.